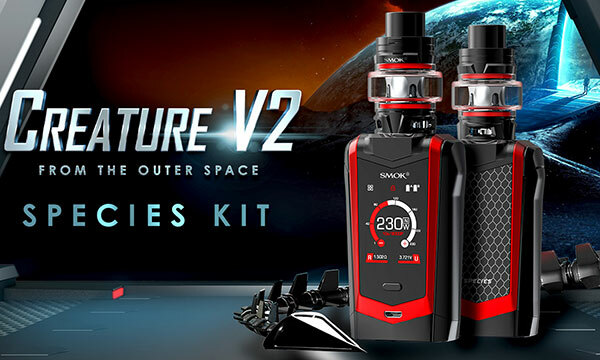 SMOK Species Kit is the 2nd generation of the mysterious creature from the outer space. 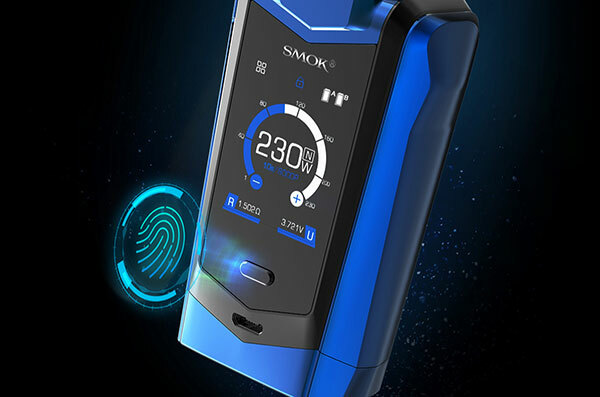 SMOK Species features unique appearance like armor outline of the warriors and powerful vaping function. 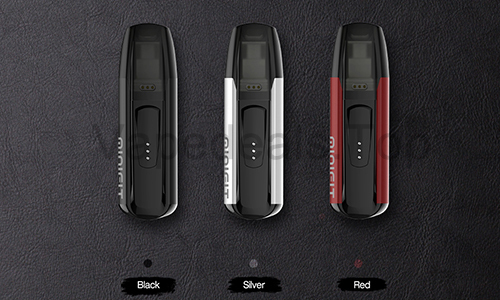 The colored decorative strips covering on the front and back of the SMOK Species mod are like armor outline of the warriors, perfectly delineating the masculinity of the product. 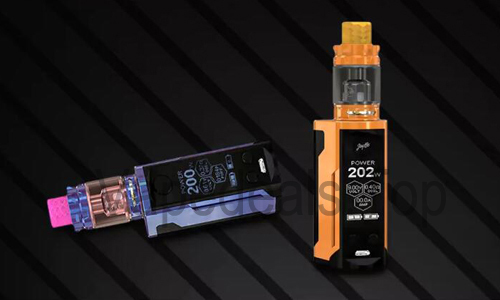 In addition, Species possesses powerful vapor production, with the power output up to 230W, which is definitely the right choice for cloud chasers. Species owns a newly designed 1.45 inches colorful touch screen, which is very responsive, and most of the operations can be finished with a simple touch. 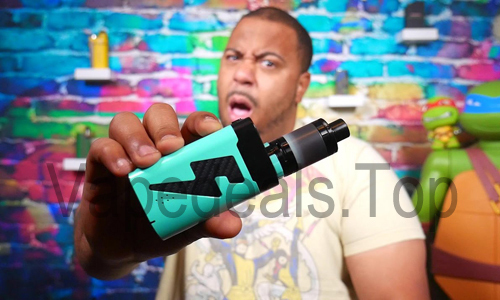 Newly upgraded UI can offer you more clearly and detailed vaping information. There are 6 colors available for screen setting. 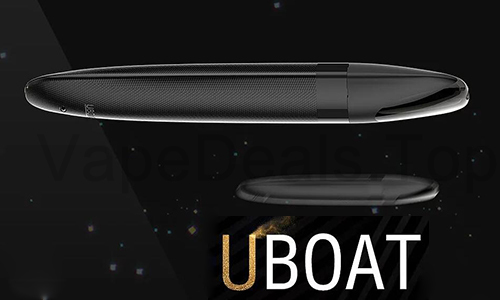 With upgraded user interface offers you more comprehensive and clearer vaping data on the front. Under the screen, there is screen locking button, which makes locking/unlocking (at the state of power on) the screen simple and secure. Powered by 2 high-rate 18650 batteries, the species kit can fire up to 230W maximum output with multiple protection. As for the including newly developed SMOK TFV8 Baby V2 tank, which features 30mm diameter and 5ml e-juice capacity. 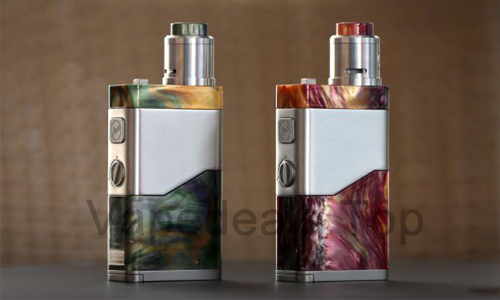 What's more, it adopts two powerful coils - Baby V2 A1 Coil with a super large heating area and Baby V2 A2 Coil with dual heating cores, fully satisfying the vapors' pursuit of dense flavor and massive cloud. 5 colors for you to choose. 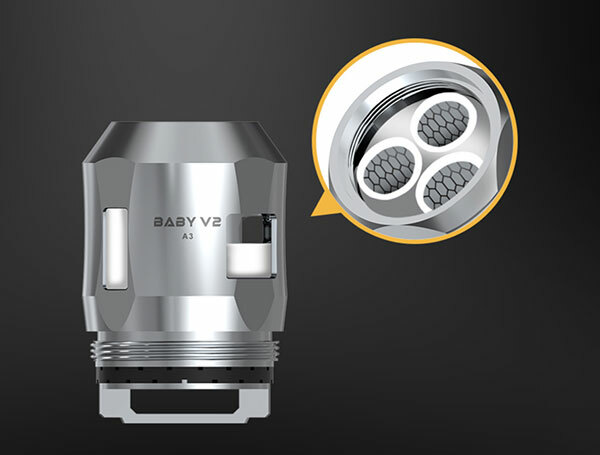 BABY V2 A3: A3 has three separate heating coils inside, combining with 3 larger airflow slots at the bottom of the tank, more air can be straightly brought in, and when you fire to vape, three coils will heat simultaneously, which can bring you unprecedented huge & thick vapor!